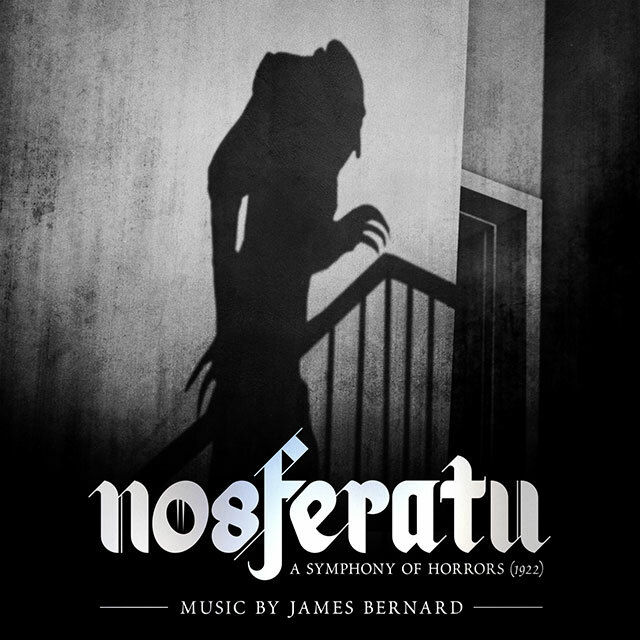 Nosferatu (1922) is still one of the most highly regarded horror films of all time, F.W. Murnau’s unauthorised adaptation of Bram Stoker’s Dracula, it remains an Expressionist masterpiece of the silent era. 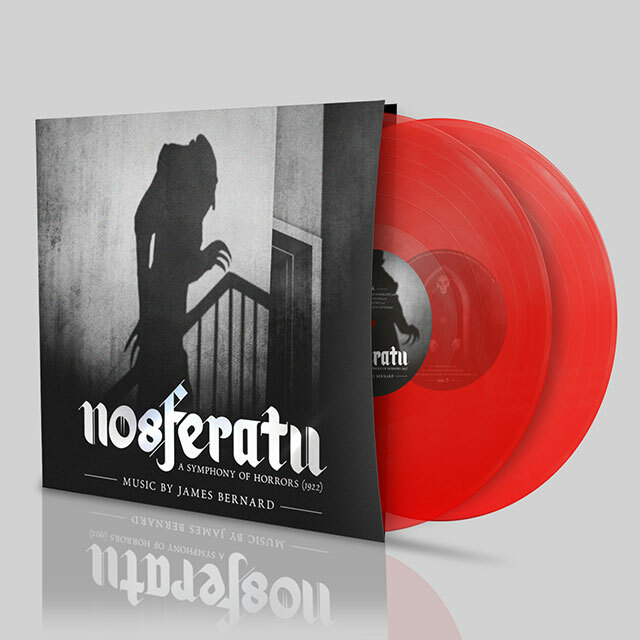 Much of the original score by Hans Erdmann (meant to be played live by an orchestra) was lost, leading Nosferatu to inspire several subsequent soundtracks, the best known of which is by Hammer Horror composer James Bernard, written for the Tanis Film video reissue of the film in 1997. The world premiere of the score was performed by Nic Raine and the City of Prague Philharmonic Orchestra at the London Film Festival the same year and now, almost twenty years later, the score is being pressed on vinyl for the first time.